NewerTech’s KX Case for iPhone X uses state-of-the-art x-orbing technology to evenly distribute kinetic energy and provide massive drop protection for iPhone X. This revolutionary technology allows KX cases to be just a fraction of the size of bulkier protective cases while offering the advanced impact protection NuGuard KX is known for. 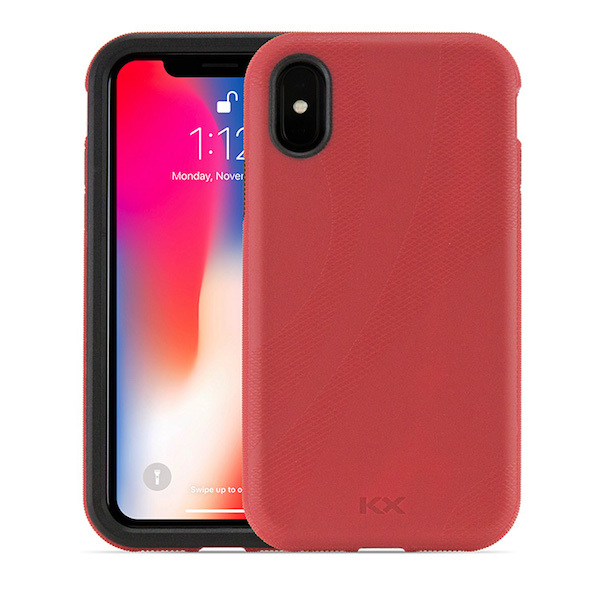 The KX case helps your iPhone survive tough tumbles, falls, and drops and protect it well beyond Apple’s 3-foot minimum protection required of other cases.